Riot Games‘ premier European competition, LEC, has solidified its roster of partners for the 2019 season. 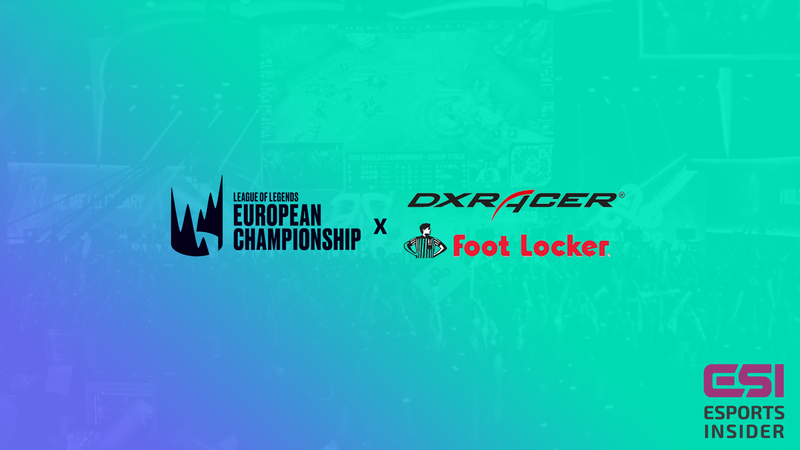 The League of Legends event announced Foot Locker and DXRacer as its two new brand partners for the upcoming Spring and Summer splits. American sportswear and footwear retailer Foot Locker will be kitting out the on-air talent and supplying jerseys for the referees that oversee the action on-stage. The company is no stranger to League of Legends, partnering with EU LCS team Splyce last year. Gaming chair brand DXRacer partnered with the competition for the 2018 season and it has returned for 2019 – continuing to supply customised products for the players to sit on whilst playing. These custom chairs will also be on sale through DXRacer from March. Foot Locker and DXRacer are joining Alienware, Kia Motors, and Shell as partners of the competition. Kicking off earlier this week, the Spring Split will last until March 16th. The LEC was previously known as the EU LCS, emerging alongside the announcement of the first long-term partners to join the competition. The 10 teams that Riot Games accepted into the LEC are Fnatic, FC Schalke 04, G2 Esports, Misfits Gaming, Splyce, Team Vitality, Origen, EXCEL, SK Gaming, and Rogue. Esports Insider says: It’s good to see the LEC obtain an endemic partner in DXRacer as well as bringing in another company that’s popular outside of esports. This roster of partners is pretty well-rounded and should help to improve the overall look and feel of the competition for the following year.